Paul Hobcraft has been a contributor to HYPE's innovation management blog for so long, that over time, he became an integral part of it. Tackling a broad range of topics, from digital transformation to design thinking, he's a highly-regarded expert in the innovation industry. Recently, he was named one of the Top 10 Innovation Bloggers by Systematic Inventive Thinking. This completely corresponds with the success of his content published on our website, whether it's a blog post or one of his in-depth reports. 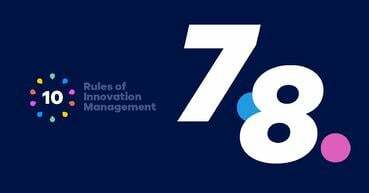 His latest report published in collaboration with HYPE Innovation, explores how we can improve the potential for innovation through Design Thinking – one of the hot topics in innovation management these days. So, as an essential part and contributor to our innovation community, we gathered Paul Hobcraft's top 5 most successful blog posts of all time. 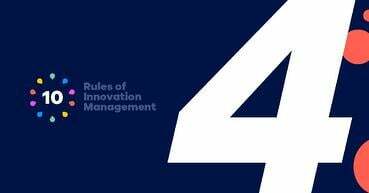 Rowan Gibson wrote a book called “The Four Lenses of Innovation: A power tool for creating thinking.” Featured on our recommended Innovation Manager's Reading List, it is worth a read. The book explains the thinking patterns that lead innovators to their big ideas. By emulating these thinking patterns, Rowan suggests you can teach people the skills to improve all of our creative abilities for idea generation and imaginative problem-solving. The key is developing the right mental perspectives and looking through the different lenses at how we should see the world around us, especially in particular situations or problems we might be having. It is discovering the way innovators see the world and how they have learned to discover great opportunities by recognizing these thinking patterns. So many organizations struggle between their strategic goals and how the innovation activities can truly fit to achieve the level of contribution that is expected. Why is that? Strategies should clarify the “how and where to win,” and this often boils down to choices. These are choices that are tough to make and always promote the effect of "push back." No one likes making choices when they involve risk and uncertainty and that challenge your perception of the future. So how do you align strategy and innovation? The choice-cascade model is one model which helps promote integrative thinking between strategy and action. Today it seems whenever we pick up a business book each chapter has a section on design thinking. I know, most of you are so heavily into this you feel you might as well ‘flip’ over to the next article but are you, really? If we believe we can make a difference and even have gone that one step further, many never seem to get there, where we have an intentional process to get us to new relevant solutions that do actually create a positive impact. Then we are getting closer to that "magic point" of transforming ourselves and those complex challenges into opportunities to be designed and developed to make that difference. Now that would not be such a bad place to be. What will design thinking get us? What is design thinking? 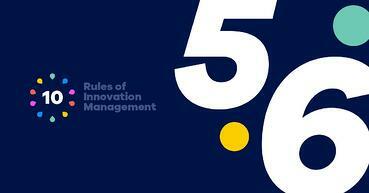 And how does it play a role in innovation management? For the innovator, the design thinking approach looks to minimize the uncertainty and risk of innovation by developing within the collective thinking through a series of frames a growing understanding of customer needs. By also engaging with customers or users actively throughout the process using a series of prototypes to learn, test, and refine concepts, you end up far closer to customer understanding through this dialoguing, exchanging, and growing intimacy to help uncover their needs. Design thinkers rely on customer insights gained from real-world experiments and direct engagement not just historical data or market research. The key today is to think like a designer in the way you lead, explore, create, and innovate. We so often struggle to articulate our innovation activity and then can’t project our plans into the future in consistent and coherent ways. 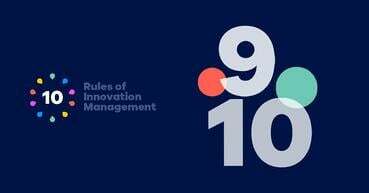 If this rings true of the innovation activity in your organization, then it is in danger of being seen as isolated, one-off events that fail to link to your organizational strategy. To become increasingly alert to social shaping, as well as emerging technology and discoveries that might lead to new horizons, we need to connect our "today" with "possibilities" in the future. And this is where the Three Horizons Methodology comes in. Thinking in different horizons prompts you to go beyond the usual focus of fixing innovation just in the present. The Three Horizons Methodology connects the present with the desired future and identifies the ‘seen’ disruptions which might occur in moving towards a vision. These are the most popular blog posts from Paul Hobcraft to date. He has contributed more than just blog posts over the time. Make sure to also check out some of his reports. They are worth having a look at it, I promise! And if you want to stay up to date with more awesome innovation news, don't forget to subscribe to the Innovation Blog. Fabio Escolano Hermanns is part of HYPE’s marketing team since 2016, with a short stay at its Solution Consulting team in between. Fabio is part of a dual studies program, interconnecting the theoretical training at his university with the basic practices of different business fields. He holds a Bachelors Degree in General Management with the major International Management and is going to follow up his academic career with a master’s degree study in Business Administration. Like the rest of the marketing team, he enjoys reading and writing about innovation.